10. 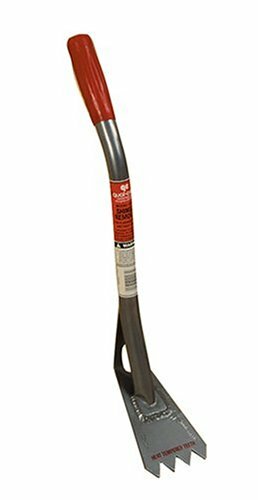 Qual-Craft Industries 2560P 54"
THE SHINGLE SHARK WORKS GREAT WHEN ITS NEW. BUT NOW AFTER USING IT TO HELP ME INSTALL ABOUT 300 SQ THE FIXED BLADE IS NO LONGER STRAIGHT BUT HAS A CURVE WORN IN IT WHERE IT GETS THE MOST USE. FOR WHAT YOU HAVE TO PAY FOR THE THING THEY SHOULD MAKE THE BLADES CHANGABLE. pretty much the standard now if you look around job sites. Now I know why. Very good investment. This is the best, least labor intensive and most reasonably priced scaffolding system I have used. To get up 48 feet(max)5-6 stories, with a 20 foot width span, took me 20 minutes- to erect and pump up the two of us and 300 pounds of shingles. Think of the area (1,000 square feet!) you can work before you need to dismantle and move. And we often find it faster to wind down and pump back up for resupplying stock. My one recommendation is that even the 24 foot pole length should require an extra hand erecting. Very safe, secure and nicely made. Smooth as a baby's ... for increased flexibility, I would also recommend jumping in and getting the 12 foot poles right away. What a piece of machinery!! Well what can I say? This scaffolding is just incredible in its durability and reliability. The wall jack design is o.k. but I don't think it has the weight capacity it says it does. I tried to jack up a wall and the jack just stripped the wood 2x4. I used a clear doug-fir like it recomended. A great tool but not safe without the base # 2602 . 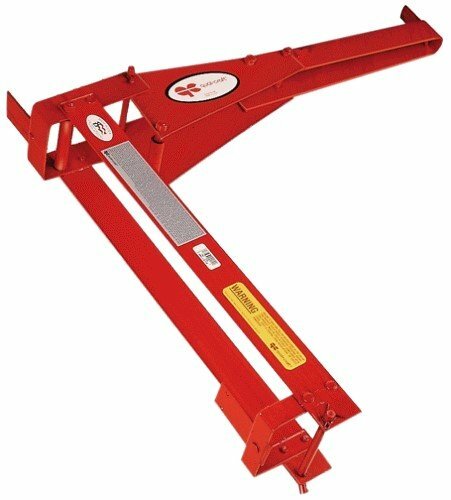 This is a wonderfull tool for lifting one story walls. It's compact, easy to store and haul. A real back saver. 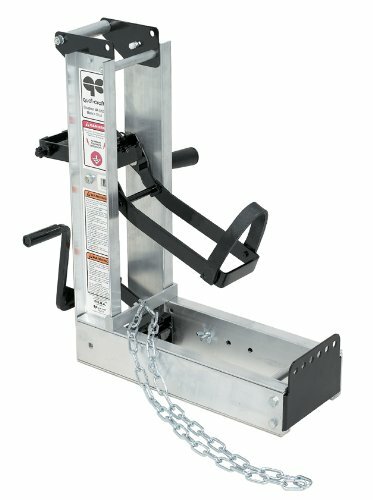 Qual - Craft Wall jacks make life easy!!! 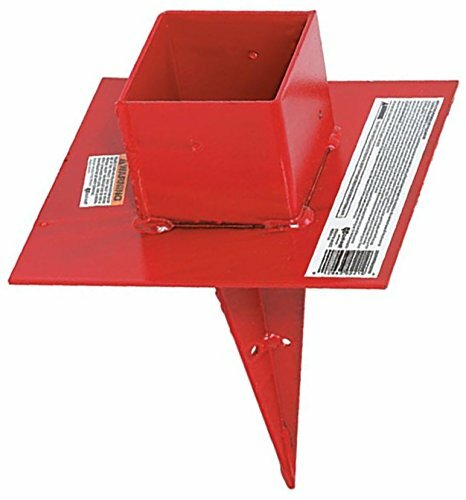 I bought a set of two of these to aid in the construction of my new house. I was able to raise 30 to 40 foot long walls of 2x6 construction with all headers installed, and sheathed on the exterior with 1/2 inch OSB!! No pain, no strain, and just myself and my wife. One consideration is to use long enough "handles" to avoid the potential fall zone. Couldn't have built solo without them. Great product! I have a heck of a time getting the lowering mechanism to work properly. Half the time, it jams and just spins. Often, I have to step on a ladder and almost have to take it apart to lower it. I'll keep them, but would not recommend anybody to buy them. I bought these to use as scaffolding when replacing the siding on my house and have been pleased. They perform exactly as advertised. They're fairly quick to erect even though I had no help. They're quite stable with the recommended bracing and the 2204Q handrail makes them MUCH safer than a plank alone. I hate heights, so that was important for me. 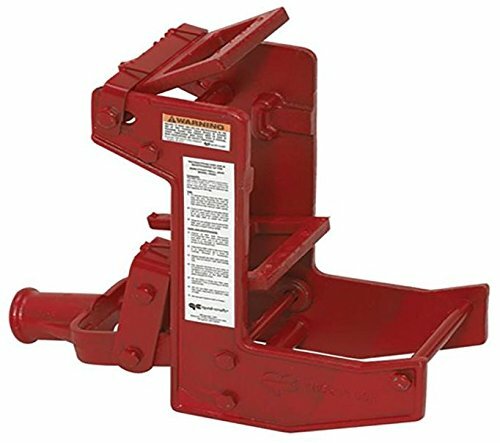 The only real inconvenience is the necessity of having to move the braces to work directly where they're attached or move the pump jack past a brace. Extra braces have to be used so you can attach a new brace before you remove the existing one. Since I had a lot of work to do before having to move the braces, I feel it's still a good scaffolding solution. The best advice I can offer is to think through how you plan to move or work around the braces before you put them up. I am completely satisfied with this unit. 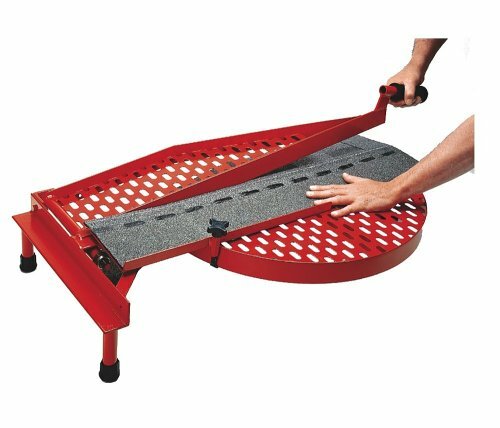 I also bought the guard rail work table combo. The units arrived promptly and in excellent condition. Once I purchased the lumber, it only took me about 20 minutes to have the whole thing assembled and ready to use. You do need some bracing, I used 2X4's instead of the optional bracing system, as it does not let you adjust the distance from the work area. I used 16' 4X4's and the pump jack works great, I used 2 16' 2X12's for the platform, backed with 3/8" plywood and is very sturdy for the entire span. I will try for a taller setup once I reach the back side of my house. The manual explains how to splice 2X4's, and I would imagine that you could go as high as you wanted. All in all I highly recomend this set up for any work that you would normally do on a ladder, it sets up quickly, and sure is better(not to mention safer) than leaning off a ladder and moving the ladder every few feet. Solution to scaffolding issue for home owner. 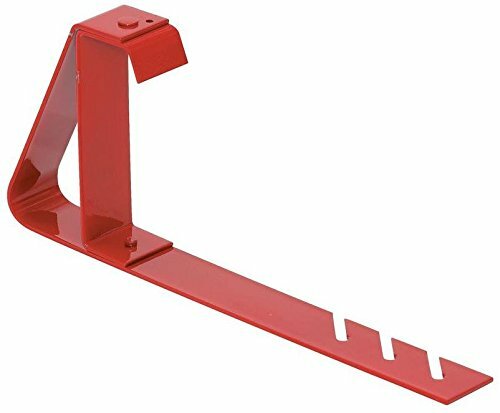 This tool is a great addition to your favorite extension ladder. 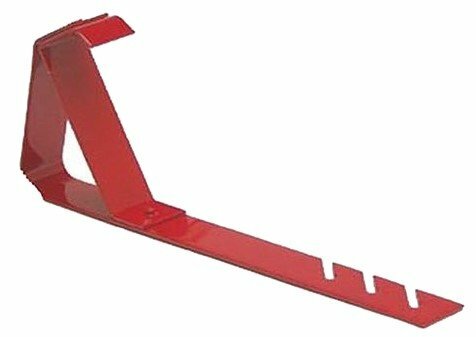 I have used ladder stabilizer/ stand-offs for years primarily to facilitate painting windows or to avoid crushing aluminum gutters. 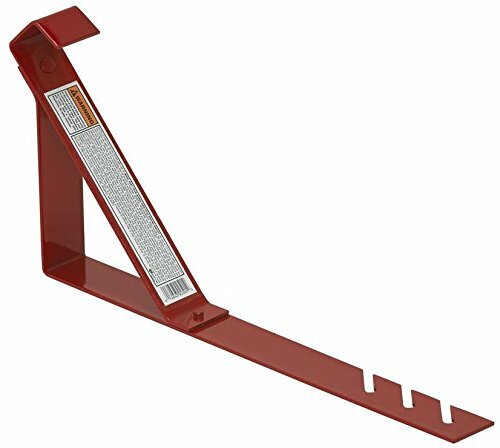 This is a great enhancement to this line of ladder accessories. It is especially useful when you are screwing sections of downspout together or working on corner boards. It allows you to place yourself right on the corner so you have very good control. 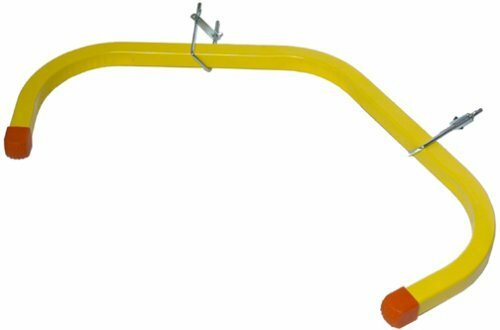 The tool also works nicely on flat walls or even curved wall surfaces. If you work around corners frequently, this is a great little accessory. Works as advertised, but there are a couple of shortcomings which are related and may not affect many people. 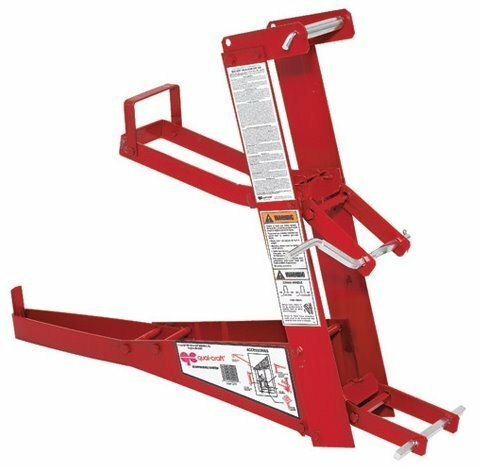 First, the span between the attachment points is 32" based on the assumption that they will be used with 16" stud spacing. Since I was working high on the gable end of my house, I was attaching to the end roof truss which has 24" spacing between verticals. My solution was to make an adapter out of a 2x4 which would fit between the brace and the house. Second, the two mounting holes at each attachment point are 3" apart which means they can't both be used to attach to a horizontal 2x4 (ie: the adapter mentioned above). I had to drill an aditional hole between the two existing holes on the brace so I could mount each side with two screws. Since I pre-drilled the holes on the side of the house, I was able to mount them by myself with no problem. I was able to hold the brace with one hand and insert the screw with the other while standing on a ladder. They're not very heavy and since the attachment points swivel, the braces hang down while you're attaching them. The only part of the job I found intimidating was handling the heavy poles (22 feet long in my case) while standing way up there. It turned out that the 30" length was fine for my particular job, but they would certainly be more versatile if they were adjustable as mentioned by the other reviewers. I agree somewhat with the other reviewer - this brace should be longer to provide more space between the platform and the building. 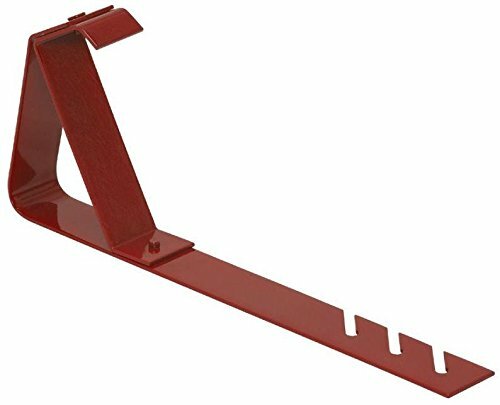 However, the brace works as it is supposed to, and if your trim doesn't extend too from from the outside of your building then the platform will clear. Also, attaching the brace to the house is a two-person job generally - one to hold the brace, the other to drive screws. 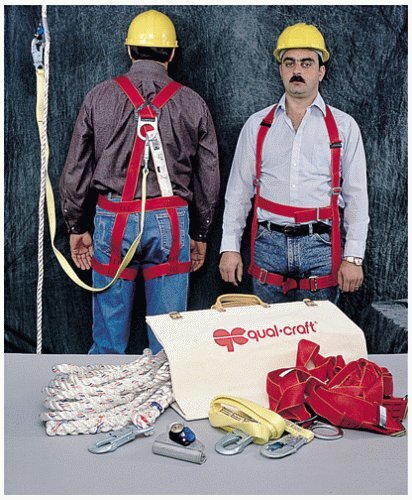 This means you need two ladders at least as tall as your Pump Jack pole to set this brace. 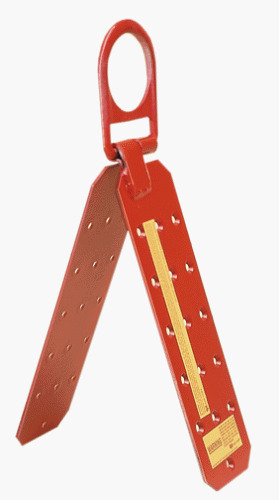 A previous reviewer lamented the length of the brace. OSHA has a maximum recommended distance from the edge of the scaffolding to the work, which would be exceeded if the brace were longer. It makes sense. My kit worked perfectly for me, and will for you, if you follow the directions. It's just your neck!!! Adjustable from 10'6" to 11'6"
I just got my Qual-Craft shingle remover and tried it for the first time today. One would think that the name should imply quality, but it certainly does not. We were removing cedar shingles and, after removing less than two square, gave up on using this tool. The problem is that this Chinese-made tool is constructed of such soft metal that we were constantly having to bend it back into shape.